Twenty years has come and gone and The Planet Smashers - Canada's ska kings have stood the test of time representing the genre throughout Canada and beyond for all that time. In terms of touring, not many indie Canadian bands come close. 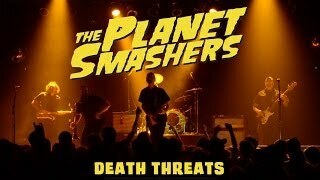 The Planet Smashers have headlined countless tours in North America, 8 European tours, been included on 5 Vans Warped Tour as well as a Japanese tour in 2002. They have toured with such acts as AFI, the Toasters, Sick of it All, Billy Talent, Rancid, Mustard Plug, Simple Plan, Samiam, The Aquabats, Mighty Mighty Bosstones and countless others. In addition to spreading the message of ska and reggae to the world, the band has supported numerous other bands through Stomp Records (the lead singer's longtime ska/punk/reggae record label based out of Montreal. Take advantage of this discounted early bird sale now!